Owner Michael Hultquist said Lerua's had been in business on Broadway Boulevard for 78 years. 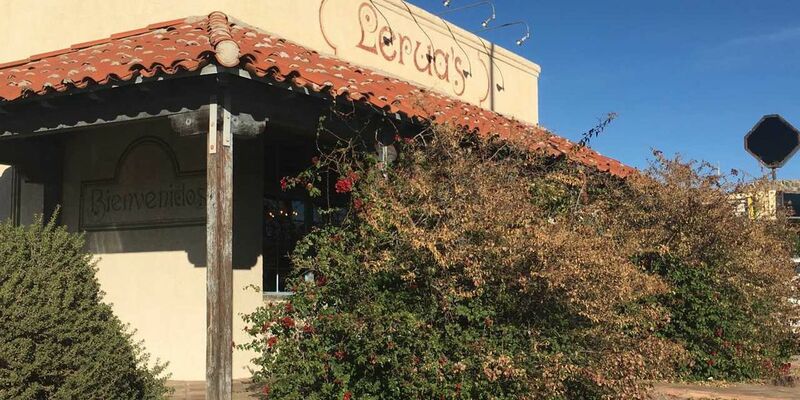 TUCSON, AZ (KOLD News 13) - One of Tucson’s oldest Mexican restaurants served its last meals Saturday, but that doesn’t mean you won’t be able to eat at Lerua’s ever again. “We’ve been really blessed by the community of how many people have showed up to say good-bye and eat here one more time," said Mike Hultquist, owner of Lerua’s. Diners filled the small adobe building Saturday, walking through the same door off Broadway Boulevard for nearly 80 years. “My mom was the one who bought it from Tony Lerua from 1961, and it just, just like everyone in the community, this is really a community, family business," said Hultquist. It’s a community brought together by green corn tamales and Mexican cuisine. Those are memories for Megan Wasley. “We’ve had tamales on Christmas Eve as long as I can remember, and I mean I grew up coming here at least, a couple times a month," said Wasley. She stopped by Lerua’s one last time to take the tradition home, leaving with a box of six dozen tamales. Wasley isn’t the only one with an order. Hultquist showed us a three-page list of take-out order for tamales he will have ready next week. Having to consider the closure is something Hultquist first heard more than three-decades ago, with the city’s plans to widen Broadway Boulevard. The restaurant, one of the businesses that would need to be demolished for the expansion. “We were told for about 12 to 14 years, we got a letter every year saying their gonna knock us down, we have to come to a meeting, their gonna knock us down," said Hultquist. And that time has come after the Hultquist family reached an agreement with the city. They have to be out of the building by March 31st, but Hultquist said he wanted to make Saturday the last day to have time to get everything in order. ONE LAST TAMALE: Today is the last day to grab a bite at Lerua’s, for now. Owner Mike Hultquist recently reached an agreement w/the city to sell the building for the Broadway Widening project. But the building doesn’t make or break Lerua’s. For Hultquist, it is the community that has been carried through the nearly century-old business. “There’s closure on one side, and we’re gonna do something bigger and better on the other side,” Hultquist said. Hultquist said he is looking for a new location for Lerua’s, but would expect the process to take at least a year, after the spot is decided, to open up again.